Hmm. Maybe I should reword this. Toxins. Who in the world puts toxins on their head? Surprisingly, quite a few people. Maybe even you. 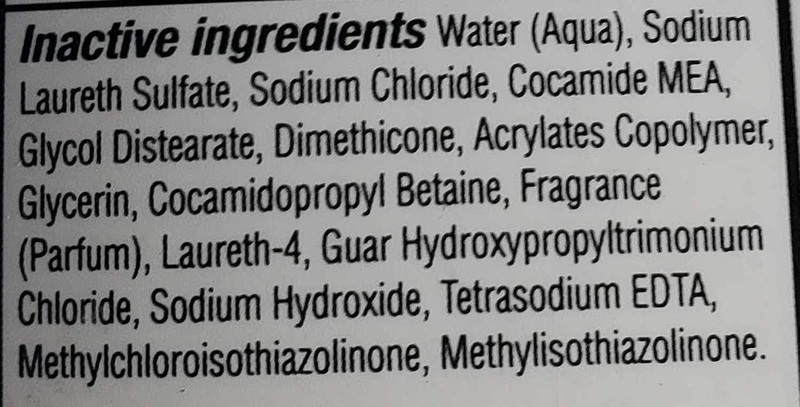 When was the last time you looked at the ingredients label on your shampoo or conditioner? Wanna go grab yours? I’ll wait. While you were gone, I snapped a pic of my TC’s old shampoo. Does yours have similar ingredients? I’m not going to go through the whole list. Not all the ingredients are bad. Like water. Clearly, not an issue. In fact, water helps with dispersal and absorption. Let’s take a moment and go through some of the not so good chemicals (some may argue toxins) that are put in hair care products. Sulfates (SLES, SLS): A cheap foaming agent. Also, an irritant that once on the scalp is absorbed into the body and cannot be metabolized by the liver. In addition, it can be used to clean engines. How fun! Cocamide MEA: Coconut Oil! Well, the fatty acids of it mixed with diethanolamine. It is meant to thicken the shampoo and enhance suds. May lead to fertility/pregnancy issues and cancer. I wasn’t expecting that. Since we are on the topic of Cocamide, I just read an article by Real Farmacy about Cocamde DEA. It mentioned nearly 100 shampoos containing Cocamide DEA were banned from use in California, due to a study showing it caused cancer in lab animals! Just for a bit more foaming action? I don’t know about you but that seems a bit sketchy to me. Tetrasodium EDTA: Made from ethylenediamine, sodium cyanide (made from a poisonous gas, sodium hydrogen, and also used in mining), and formaldehyde ( a known carcinogen). Used as a preservative for the shampoo. Makes it easier for the ingredients to enter the scalp. Who remembers the uproar about Johnson & Johnson’s No More Tears shampoo a few years ago? I’m going to put the last two together, as they are quite similar, and just use their abbreviations, MIT/CMIT respectively. Both are used as a perservative. MIT may cause nerve damage. MIT/CMIT may both cause neurotoxicity. Wow. Does your head hurt? I am so glad I started down a more natural path many moons ago. 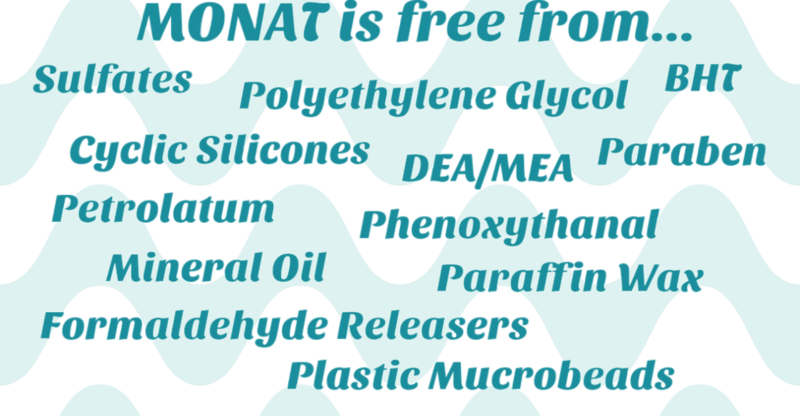 I’m very grateful that my sister introduced me to Monat a year ago. If you’d like to learn more about Monat, go here or feel free to send me a message! Note: All ingredients listed are currently FDA approved.